While EUR is losing its power USD is growing on the other side. US nonfarm payrolls will affect this pair. 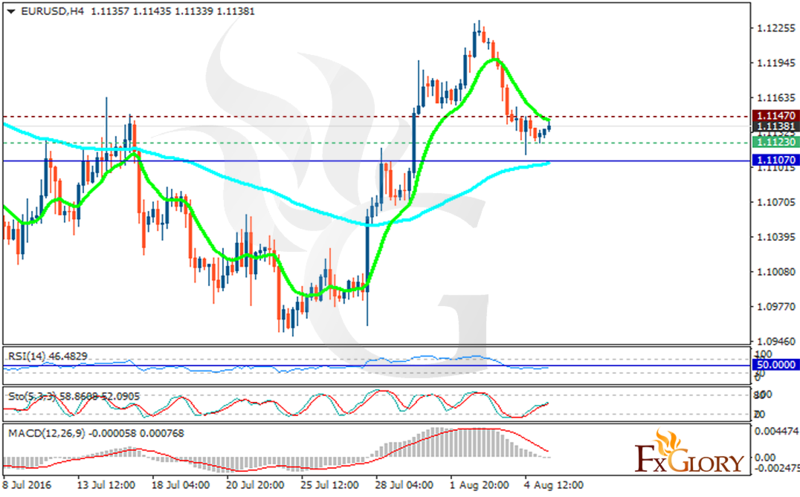 The support rests at 1.11230 with resistance at 1.11470 which both lines are above the weekly pivot point at 1.11070. The EMA of 10 is falling down towards the EMA of 100. The RSI is moving in negative area below the 50 level, the MACD indicator is in falling down towards the neutral territory and the Stochastic is showing neutral trend at the moment. We expect further decline towards 1.100 area.